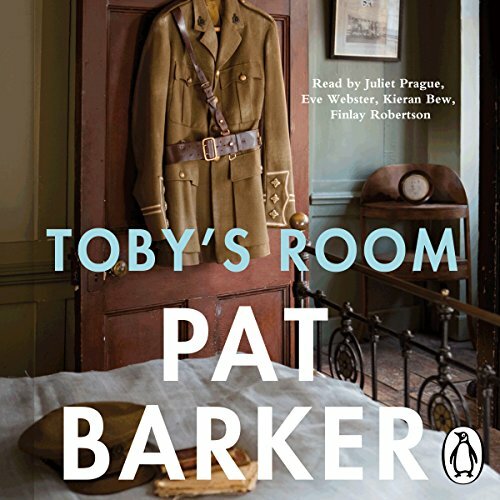 Penguin presents the unabridged, downloadable audiobook edition of Toby's Room, a dark, compelling novel of human desire, wartime horror and the power of friendship. When Toby is reported 'Missing, Believed Killed', another secret casts a lengthening shadow over Elinor's world: How exactly did Toby die - and why? Elinor determines to uncover the truth. Only then can she finally close the door to Toby's room. Moving from the Slade School of Art to Queen Mary's Hospital, where surgery and art intersect in the rebuilding of the shattered faces of the wounded, Toby's Room is a riveting drama of identity, damage, intimacy and loss. Toby's Room is Pat Barker's most powerful novel yet.